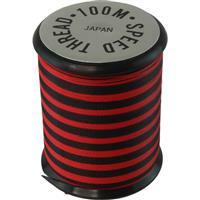 Speed Thread 100m C Grade Rod Binding Thread. Brand: Speed Product Code: STC C Grade *Please note: not all colours are available in stock and may be required to be ordered in to fulfill your order. Speed Thread 50m C Grade Metaillics Rod Binding Thread. Brand: Speed Product Code: STC C Grade *Please note: not all colours are available in stock and may be required to be ordered in to fulfill your order.